A funny thing happened on the way to Epi76. I had a trip scheduled to Los Angeles to take part in an annual card game with a bunch of friends. So I haven't had a chance to finish putting the next episode of Succotash together. But there I was, tooling down Interstate 5 in the middle of the night. Pulled over to gas up and checked my email, Facebook and Twitter feeds. And @HarryHumorNY had tweeted, wondering if I was going to record another rambling "halfisode" from the road. So I did. And here it is. Just me, talking to myself (and you) as I speed through the night. No clips. No Tweetsack. 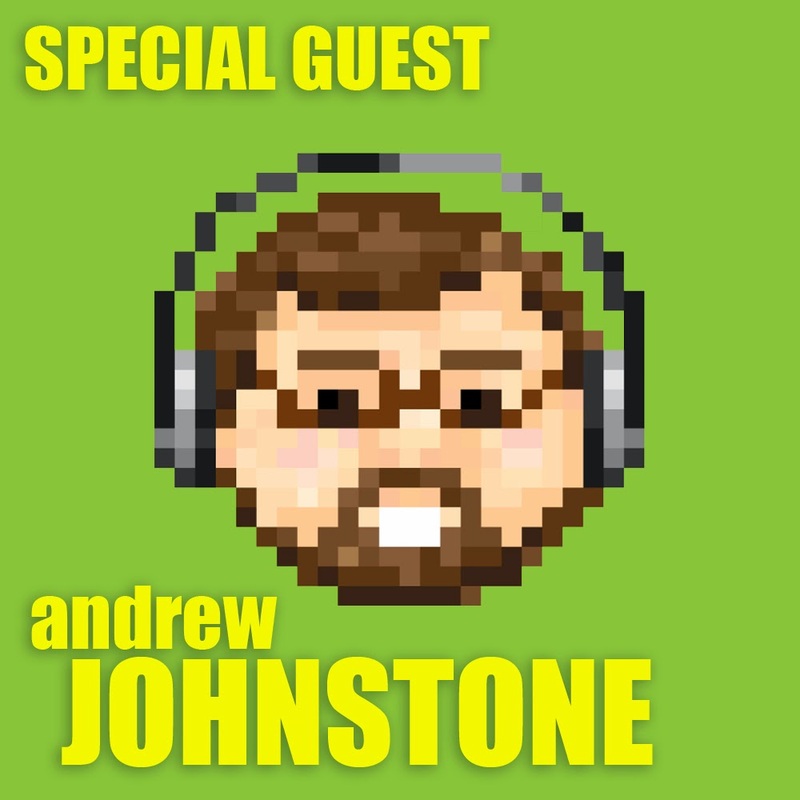 See you soon with Epi76, which will feature many clips from comedy podcasts along with my chat with Chris Mancini, co-organizer of the Los Angeles Podcast Festical and co-host of the Comedy Film Nerds podcast. Please remember to pass the Succotash! Welcome to Epi75 of Succotash, the Comedy Podcast Podcast! A milestone of sorts. Three-quarters of the way there if there is 100 episodes. Glad to have you with us and hope you enjoy this particular outing. 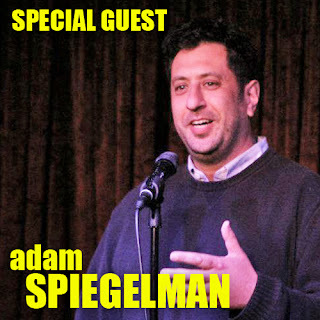 Not a whole bunch of comedy podcast clips this time because our special guest is podcaster and TV producer Adam Spiegelman, host of the Proudly Resents cult movie podcast and also Dream Tweet, a podcast game show. Adam is – or was – a producer on Totally Biased with W. Kamau Bell – I say “was” because I just read today that FXX has cancelled it. Bear that in mind when we talk about the show in our interview because – a month and a half ago when we talked – everything was fine. Back then, in happier times, Adam and I hung out a bit at this year’s Los Angeles Podcast Festival and he sat down with me in the Podcast Lab where we talked about movies, TV and, of course, podcasting. In addition to Adam, and some funny clips, we have our Tweetsack, our Burst O' Durst, and a classic Henderson's Pants commercial. For This Week In Comedy Podcasts on Splitsider.com, I reviewed not one but two shows — the hot-as-a-pistol Welcome To Night Vale, über-comedy-creepy narrative; and The Nerdist with Gillian Jacobs (Community, Bad Milo), so check those both out. This past weekend I got to act in a sort of experimental web series that friend-of-Succotash Dana Carvey is producing and starring in called The Funster. VERY low budget. The first three episodes – I call them episodes but they’re really more like “moments” because they’re so short – are up on YouTube. I make my appearance in the fourth installment, which is still being worked on. I think we’re re-shooting some of it this weekend, so I’ll let you know when that’s up online and I’ll have that episode on the SuccotashShow.com site when it’s ready. The Top 10 Most Active Shows in the Stitcher Top 100 Comedy Podcast list is heard exclusively on Succotash. Most people do a straight ahead Top 10 countdown. The flagship show of our special guest this episode, Adam Spiegelman, Proudly Resents is billed as "the cult movie podcast" and often features Adam and his guests dissecting and roasting some of the silver screens most fragrant bombs. In this sample from his most recent episode, Adam - along with Katharine Heller and Myq Kaplan – took a look back at the movie Dead Heat, starring Treat Williams and Joe Piscopo. 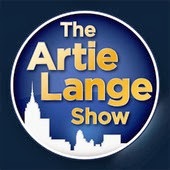 Most people know Artie Lange from his years sidekicking for Howard Stern. He was also on MAD TV and has appeared in a few movies like Dirty Work and Beer League. His new memoir, Crash And Burn, is out and has been on the New York Times Bestseller list. His podcast is really the audio version of his Dish network TV show, and also features HIS sidekick, former NFL player Jon Ritchie. In this clip, Artie reminisces about some quality party days. We received a clip of this podcast from producer/writer Peter Beeston, who tells us that his podcast is created by a selection of writers and performers in the UK. "Every episode is a unique piece of radio fiction — sometimes they are dramatic pieces, sometimes they are comedic — but they are always of high/professional quality." This particular clip comes from a mocumentary about druid life in the UK, and about one Druid in particular, Brian Parker. The clip was written by Laurence Peacock, and features the voices of Chris Bellamy, Laurence Peacock, Christine Bellamy and Phil Mason. The podcast universe has gotten so vast that even I am having trouble keeping up with it all. 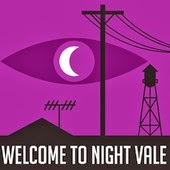 Which is why hadn’t even heard of Welcome To Night Vale before I got to the Podcast Festival in LA last month. The show's a narrative and is, in fact, narrated by Cecil Baldwin. The show’s created and written by Joseph Fink and Jeffrey Cranor. They’ve got commercials for really weird things, original music, and the best way I can define it in a thumbnail pitch is that it’s A Priarie Home Companion as conceived by H.P. Lovecraft. 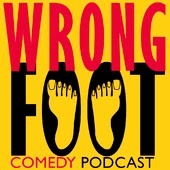 We haven’t played a clip from The Wrong Foot podcast for awhile. They’re a funny audio "sketchcast" and it’s high time we got another taste. We got a note from executive producer Robin Brecker this week along with a clip. Robin says, “I know you guys are busy with Thanksgiving coming up and lima beans to shuck, but here's a clip from the Wrong Foot collection that is short enough. Thanks. And rememember, defrosting is for suckers." That's the lineup, essentially, for Epi75 along with, of course, our Tweetsack segment and a classic commercial from our sponsor, Henderson's Pants. If you'd like to help us out, we invite you to visit our homesite, at http://SuccotashShow.com, where you can avail yourself of our colorful Donate button, or click on our Amazon ad at the top of the page and do your shopping through our portal (in which case we'll get a little kickback), or perhaps purch some merch from our Succotashery web store. If spending money to see your favorite comedy podcast podcast continue to flourish isn't your thing, a few moments of your time is all it takes to go to iTunes, look up Succotash in the podcast section, and the rate and review us. 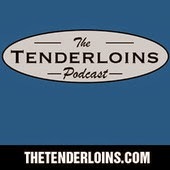 You can also go to Stitcher.com and give us a "thumbs up" to let people know you like us. At the very least tell a friend about us — we call that "passing the Succotash"! Can it be?! Yes! This is Epi74 of Succotash, The Comedy Podcast Podcast, and our “thing” is playing clips of comedy podcasts both known and not-so-well known across the internet and we also feature interviews with podcasters, comedians, podcast-comedians and other folks from the entertainment biz. Our Top 10 Most Active Shows in the Stitcher Top 100 Comedy Podcast list represent those podcasts that moved the most – either up OR down – Stitcher On Demand Radio’s Top 100 comedy podcasts this past week. Last week there were some BIG triple-digit swings into the list. This week not so much, with the exception of ONE show that jumped over 600 places to barely get into this week’s list. We have a clip from the recent LA Podcast Festival! Jordan Jesse Go features co-hosts Jesse Thorn and Jordan Morris. We’ve clipped these guys before and with good reason – they’re funny. And popular. Consistently in the Top 100 over on Stitcher. In fact, this week they’re at 61 on the chart. And they're at the PodFest, talking about…pigs. 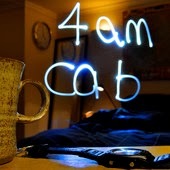 Lee Wilson and Rachel Wheeley in England at the 4 AM Cab podcast sent us a clip. Haven’t heard from this sketch show in a while, a “nocturnal comedy podcast” as they put it, featuring “scenes from the small hours.” BTW, they have an open submission policy for writers so, if you want to try your hand at writing audio sketches, here’s a place to try them out! 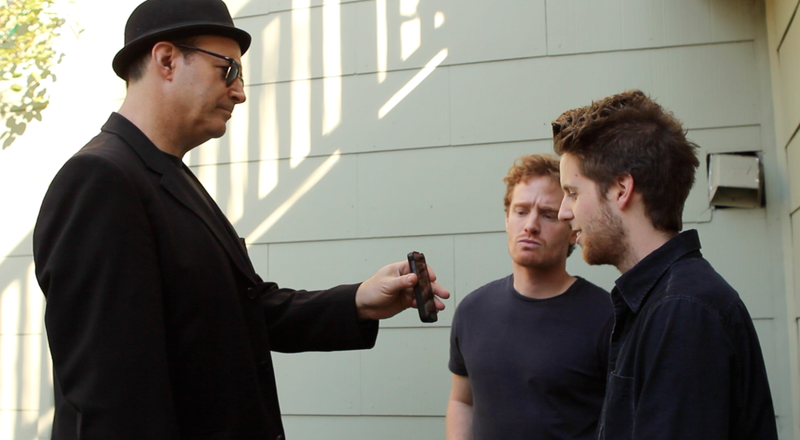 This sketch was written by Matt Fishwick and Cat Furniss, and stars Chris Baker as the robber with Dan Warren as the cop. Comic Jay Mohr and his Mohr Stories podcast is the flagship of Jay’s Fake Moustache Studios, where they’ve got about a half dozen shows in their stable. Our honorary associate producer Tyson Saner has clipped a couple. The first is the, well, the first – it’s Mohr Stories and Jay’s guest is comedian Jim Norton who is gaga for metal and they’re talking Sabbath. If you’re savvy to the standup scene at all, you’ve got to be familiar with the name Barry Katz. Starting in Boston in the 80’s, he started in as a standup as well as a booker for clubs all over the New England area. By the early 90’s he hung up his comedy cleats and began managing comedians – landing clients on Saturday Night Live, record deals, tour dates, the works. The guys a heavy hitter, having kicked off comedians' careers, produced movies, TV shows, and giant concerts. And now he’s a podcaster, too. Gee, Barry, leave something for the rest of us! On a recent episode of his podcast Industry Standards, Barry spoke with Robert Morton, the producer of Late Night with David Letterman. Jon and Eric are fully grown adults who reminisce about their awkward teen years on the Hey Teens podcast. The show’s been around a little over a year and THEY had some listener from Glascow little paper cutout dolls of themselves. Damn! Who do I have to clip to get some damned paper dolls! Anyway, on Hey Teens recently, they talked with guest Whitney Moore who talks about Birdemic! Our Honorary AP Tyson Saner sent this slip in and I ALMOST didn’t include it this epi because I was certain that I’d played another clip from this same episode of The Tenderloins before. But I’ll be damned if I can find it so what the heck? Sal Vulcano, Joe Gatto, James Murray and Brian Quinn – The Tenderloins - are probably better known for their hit Tru TV show, i. Here the boys discuss bad dating experiece. 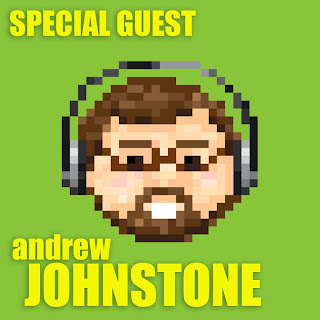 Thanks again to our special guest Andrew Johnstone. And, of course, thanks to you, our loyal listeners. If you'd like to help us out with a rating and review on iTunes or a thumbs up on Stitcher, we'd be most obliged. It just that sort of thing that helps us to pass the Succotash!